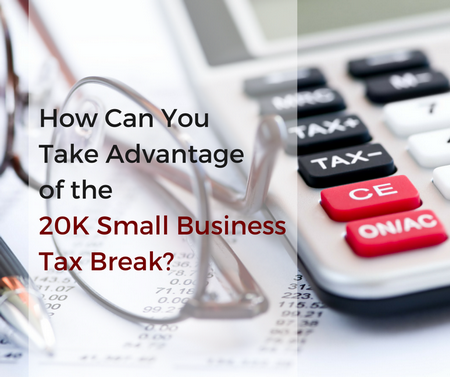 How Can You Take Advantage of the 20K Small Business Tax Break? The announcement of the Federal Government’s $20,000 small business tax break has resulted in a huge retail spree and increase in retail shares. The $5.5 billion stimulus package is aimed at stimulating jobs and economic growth, as well as making a permanent difference to small businesses across Australia. The two-year window provides you with the opportunity to write off the entire cost of items purchased up to $20k, for as many items as you wish. That means that you can transform your business with brand new commercial furniture and it’s 100% tax deductible! This is a great opportunity for small business owners to expand and purchase new furniture, machinery or equipment. What is the $20k Tax Break? The $20,000 small business tax break is available to registered businesses or sole traders with an annual turnover of less than $2 million and an Australian Business Number. Those businesses can claim an immediate tax deduction on items purchased under $20k until June 30 2017. There is no limit to the amount of products you can claim on, as long as they do not go over the threshold. The items must be related to your business and can only be claimed on physical items. That means you can claim on hospitality furniture, but not on marketing costs, stock or software developed in-house for the business. How Can I Take Advantage? Anyone who has a small business, or is thinking of starting one, should take advantage of this rare opportunity to purchase items necessary for the business. The time to act is now, as it is only available on a temporary basis and is scheduled to return to the $1000 threshold on 30 June 2017. This is significant opportunity for small businesses and sole traders alike. For a small business owner in the hospitality industry, this provides you with just the excuse you need to give your establishment a complete makeover. New furniture can help to transform your business and attract new customers. You can create new seating options, outdoor seating areas, or refurbish a tired function room with our Nextrend Hospitality Furniture range. If it is under $20k, then it is immediately 100% tax deductible. Not only is this the chance to upgrade your old furniture, but it also gives you the opportunity to try out something new in your establishment. Have you been considering adding barstools to your bar? Now is your chance. Looking for new tub chairs for the hotel lobby? Nextrend has it covered with our full commercial furniture range. This is a rare chance to purchase everything you need to make your business stand out from its competitors. If you plan on purchasing items over $20k, then you can add these together and they will be depreciated at the same rate. The rate of depreciation in the first year of income is 15%, going up to 30% per year thereafter. If your company has an annual turnover below $2 million, then you will see your tax rate lowered to 28.5% from the initial 30%, which is lower than the tax rate has been in almost fifty years. This will make it easier for you to expand, create or employ new staff within the business. Check out our wide range of indoor chairs, outdoor chairs, stools and barstools, and tables now to take advantage of the 20k small business tax break! Call us now at 1300 559 965 or 07 3257 7272 for a quick discovery call.